Gorgeous 3 bedroom / 2 bath condo with full kitchen, dining room, family room. Our condo sleeps 7! Screened balcony overlooks the ocean! Included in the amenities are: Washer & Dryer, Appliances, Dinner ware, Linens, Towels, and much more! 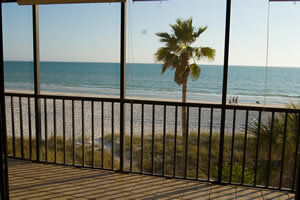 Our condo is located in the gorgeous Tampa Bay area, with wonderful views of the Gulf of Mexico. Madeira Beach features powder white sand beaches, and easy access to wonderful restaurants, shopping and nightlife! Within an easy walking distance to Historic Johns Pass!